"Teasing and titillating until the end, I Can Handle Him is a bubbly and suspenseful romance." Foreword Clarion Reviews. ​Read the full review below, or click here. I Can Handle Him is a bubbly, suspenseful, and satisfying romance. There are obstacles on the road to love—sometimes even deadly ones. So the young and hopeful characters of Debbie Lum’s romantic thriller I Can Handle Him learn across one life-changing summer. Former coffeehouse coworkers Tory, Nick, and Quinn have been thrown back together for another long, potentially sultry, San Antonio summer. The girls are in from Austin; Quinn’s readying herself for her first year of teaching, and Tory’s between semesters at law school. And Nick, well: Nick’s still in town, and still irresistible. He’s also helming a brand new, innovative coffee shop that rivals their former place of employment, and is trailed by the rumor that he’s deadly trouble. The girls don’t believe it, though—not even when their decision to stand by Nick costs them dearly. Tory’s nascent-lawyer mind is set to work double time to prove her old friend innocent after accidents pile up around him. Investigations are initiated, but it seems more likely to Tory that the troubles originate with Reed, the town’s entitled heir, whom she’s always known to be more dangerous than his cavalier hipster attitude suggests. Elements of the story are as irresistibly sweet as the turquoise cinnamon buns that Nick makes his shop’s trademark. Sexual tension sizzles—often directly announced, but also frequently apparent in the thoughtful things that the friends—and maybe matches—do for one another when they’re feeling down, from cheeky gifts to showing up at just the right time. A supporting cast makes the novel all the more suspenseful, from old family friends who refuse to forgive to young up-and-comers whose familiar actions drip with new suspicions. There are stalkers, allusions to a previous assault, and tragic deaths, but also enough quips about couponing and home cooking mishaps to keep transitions light. Superficial details inhibit the story’s momentum, as does an early tendency to let in-jokes stay in for too long. Important details about the lead characters’ deep connections are concealed for longer than is necessary, though they can be inferred. Dialogue, both external and internal, is peppered with overly youthful slang and shorthand, and pop culture references and typecast characters, including a gay best friend and a beat poet, threaten to date the text. At a few points, the novel becomes decidedly religious; these forays into faith are saccharine, though, compared to the rest of the story’s more playful air. These friends and lovers are at their best when they’re flouting expectations. The romantic elements themselves are slow to bloom but are wholly satisfying when they do. Suspenseful elements are equally well handled, with an ending to the mysteries around Nick that shocks, surprises, and sates—even to the extent that the book’s happy epilogues feel unnecessary. Teasing and titillating until the end, I Can Handle Him is a bubbly and suspenseful romance. Oxford Exchange Book Fair This Sunday! I can't wait for the Oxford Exchange Book Fair in Tampa this Sunday! I love Oxford Exchange so much, I modeled the fictional "Indigo Exchange" in my new novel I CAN HANDLE HIM after the popular restaurant and bookstore. If you are in the Tampa area, come see me on Sunday! Over 1,100 "To Reads" on Goodreads! Exciting news! I CAN HANDLE HIM has over 1,100 "To Reads" on Goodreads, in only thirteen days since release! My latest giveaway ended last night, and 1,002 readers signed up for the chance to win one of ten paperback copies! Could it be that readers want to know if they could handle him? I guess the only way to know if you can is to read it yourself! Can You Ever Go Back? It’s true what they say: you can never go back. You can’t go back to where you worked before and feel the same. Walls will be painted a new color or furniture will be moved. The way you did things before will be different. People you used to know will have changed, for the better or for the worse. It’s never going to feel the same. And this, tonight, doesn’t feel good. 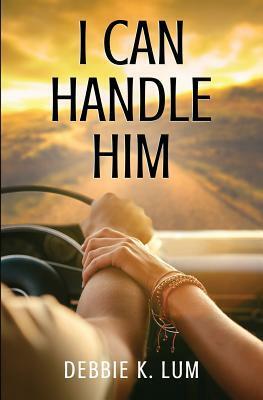 I CAN HANDLE HIM is available now. Goodreads Giveaway Ends This Wednesday! Giveaway ends April 18, 2018. I CAN HANDLE HIM is out now! What a great debut weekend for I CAN HANDLE HIM. My new novel SOLD OUT at the San Antonio Book Festival, where visitors to my table were excited to pick up a story about their hometown. And on Goodreads, over 600 have marked it as "To Read." I'm enjoying reading the texts and messages from people who are reading it now. If you like romance, with a suspenseful story woven through, then pick up a copy! Purchase here. And if you are on Goodreads, add it to your "To Read" shelf. I'm launching my new novel I CAN HANDLE HIM at the San Antonio Book Festival this weekend! Find me at the Festival Marketplace, Saturday, April 7, 9 a.m. - 5 p.m., at the Central Library, Downtown San Antonio, corner of Augusta and Navarro, in the ROMANTIC SUSPENSE BOOK tent. ​Be among the first to pick up a copy of this new San Antonio romantic suspense novel!